Thanks to Bethesda for the best games and the Creation Kit. Thanks to Blizzard for the sword and armor concept. by Jojjo and GraceDarkling and zzjay. 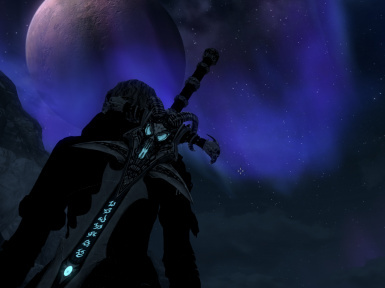 The sword and the armor are two standalone mods. 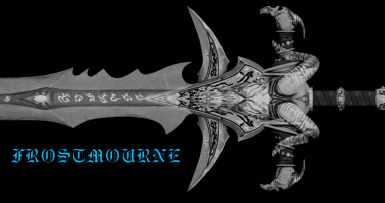 Adds forgable Frostmourne (one-handed and two-handed, with and without scabbard). Choose and install your preffered version. The folder structure is the same in all the downloadable files so don't hesitate to paste one version over another. The sword was remade almost from scratch so the polycount is considerably lower than it was. To those who have the previous release - you don't have an obsolete mod, you have the same mod. This here have the same esp file (all four downloads), so your save game will be not affected. You won't loose your weapon or something. If you have any doubts replace/overwrite only the "meshes" and "texture" folders with the new ones and leave your "old" esp. 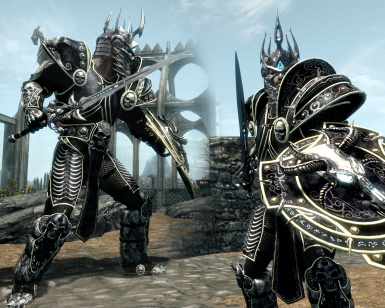 Adds craftable armor set (male version). Use any forge (Steel section). The shadow of the helmet is not uploaded because it makes the eyes disappear in certain angle. At a forge - Steel weapons section. The helm is inappropriate for orcs, argonians and khajiits. Extract the archive. 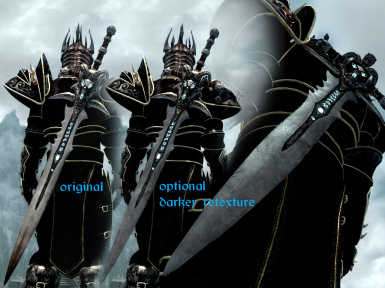 Take the folders "meshes", "textures" and Frostmourne.esp and paste'em in your Skyrim/Data folder. "Yes to all" when asked. Start Skyrim Launcher. Go to Data Files and mark Frostmourne. Ok and play. Extract the archive. 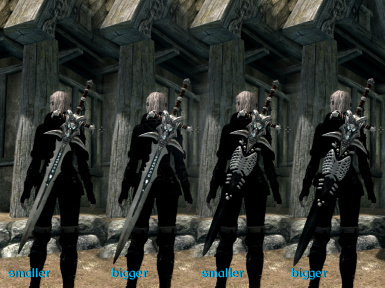 Take the folders "meshes", "textures" and Lich King's Armor.esp and paste'em in your Skyrim/Data folder. "Yes to all" when asked. Start Skyrim Launcher. 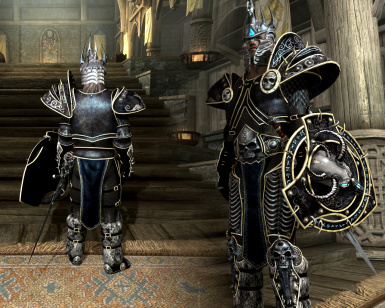 Go to Data Files and mark Lich King's Armor. Ok and play. 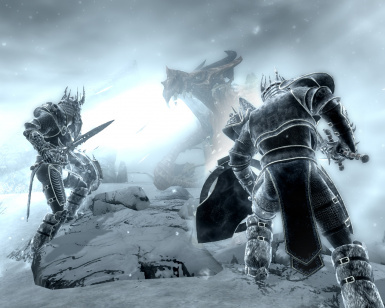 Uncheck Frostmourne in Skyrim Launcher Data Files. 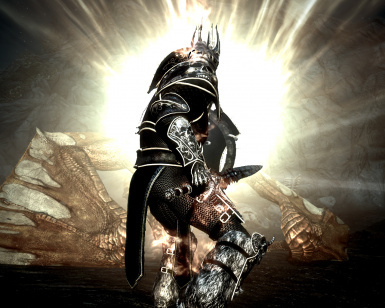 Uncheck Lich King's Armor in Skyrim Launcher Data Files.